ICECREAM. 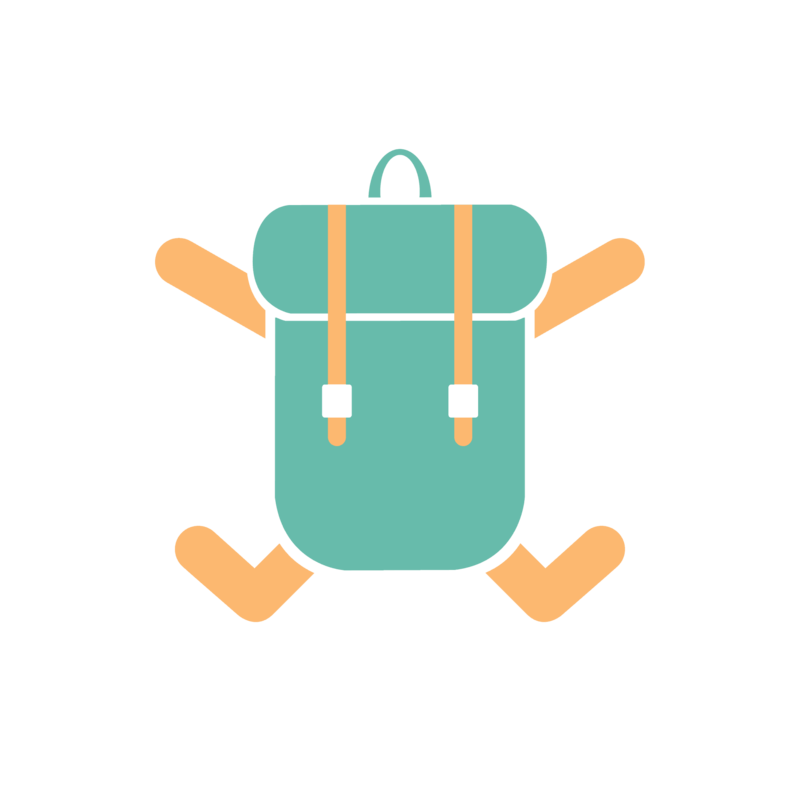 My favourite topic! I’ve been exploring cafes in Singapore for the best icecream and waffles experience, and been diligently logging down my experiences under the hashtag, #icewjcream, on Instagram. When I’m overseas, I try to continue this “hobby” of mine to visit different icecream parlours and rate their icecream based on flavour, variety, and their waffle’s texture. In Singapore, we are used to having icecream on waffles. 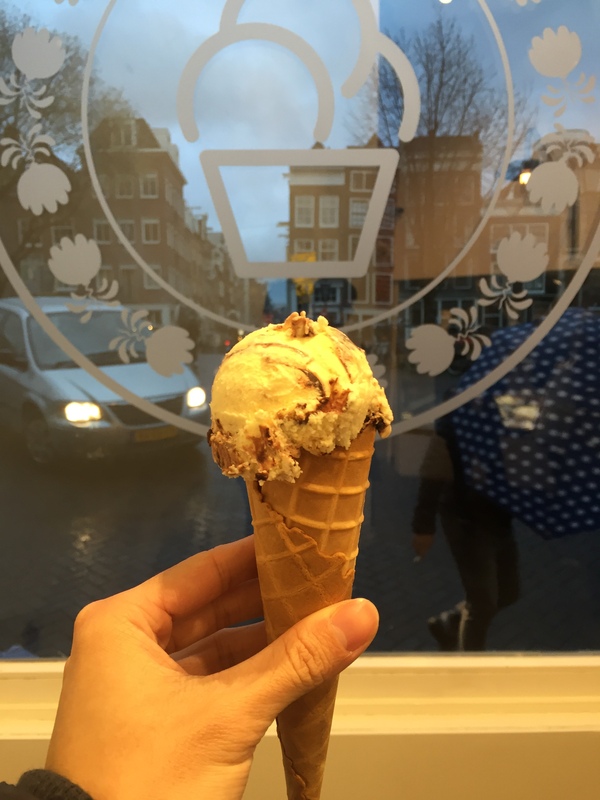 Here in Amsterdam, icecream is served in waffle cones or cups. 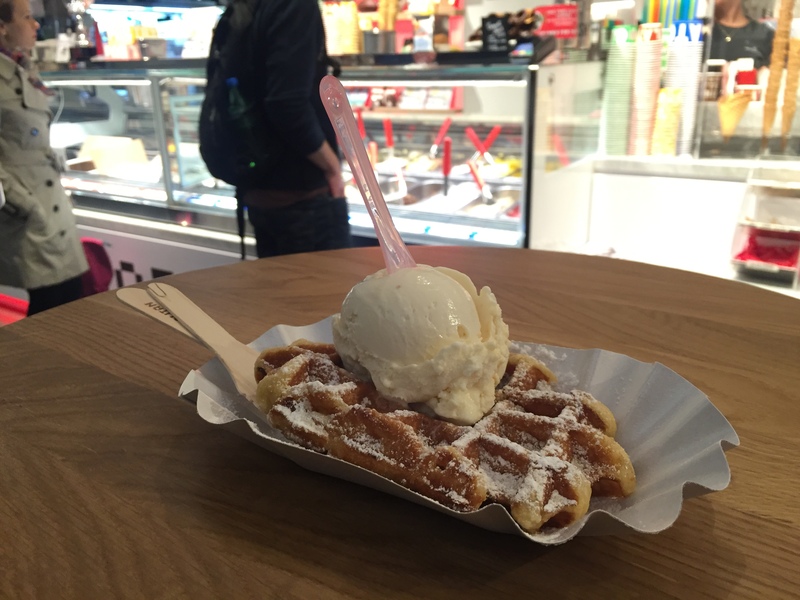 Some stores have sugar/icing-coated Belgian waffles to go with the icecream, but they are usually not made on the spot. I like small-batch, homemade icecream. This ensures quality on the part of the icecream maker, and icecream fans experience novelty because new flavours keep popping up from these stores! 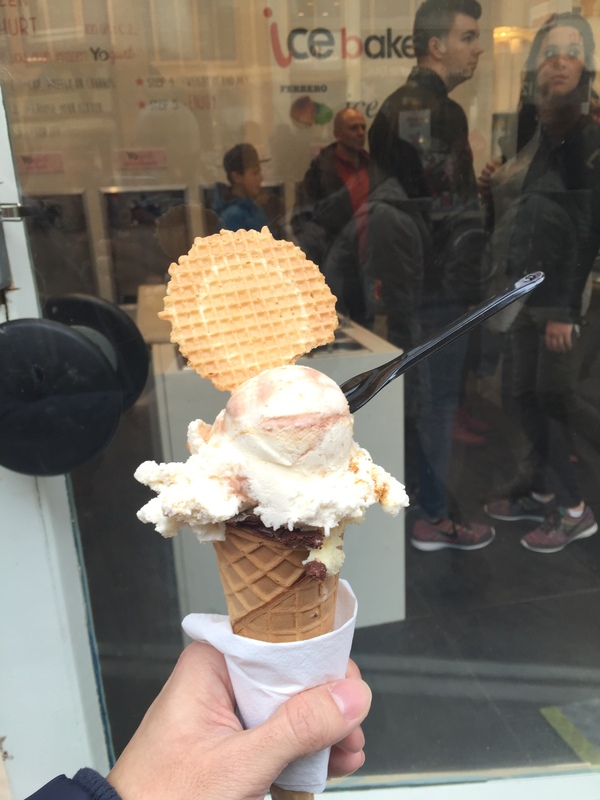 Most icecream shops here in Amsterdam serves gelato (the Italian name for icecream, with major differences from icecream). 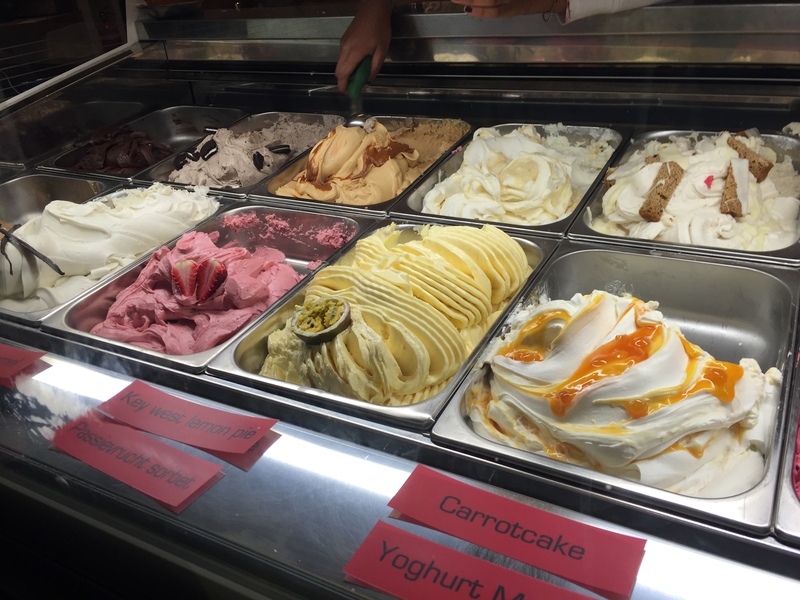 You may visit this site for a short explanation on the difference between “gelato” and “icecream”; in short, icecream and gelato differs in the amount of air and fat content, as well as the temperature they are served. Icecream increases in volume as air is whipped into them; cheaper icecream tends to have more air, and tastes suffer as a result of too much air. This is my first contact with icecream in the Netherlands. I was expecting a smooth, ice-cold vanilla flavour to dance in my mouth, since this store only sells this one type of icecream, and they better be darned good at what they are doing. I was disappointed because all I tasted was warm whipped cream. The texture was airy, warm (relative to “normal” icecreams), but very smooth. 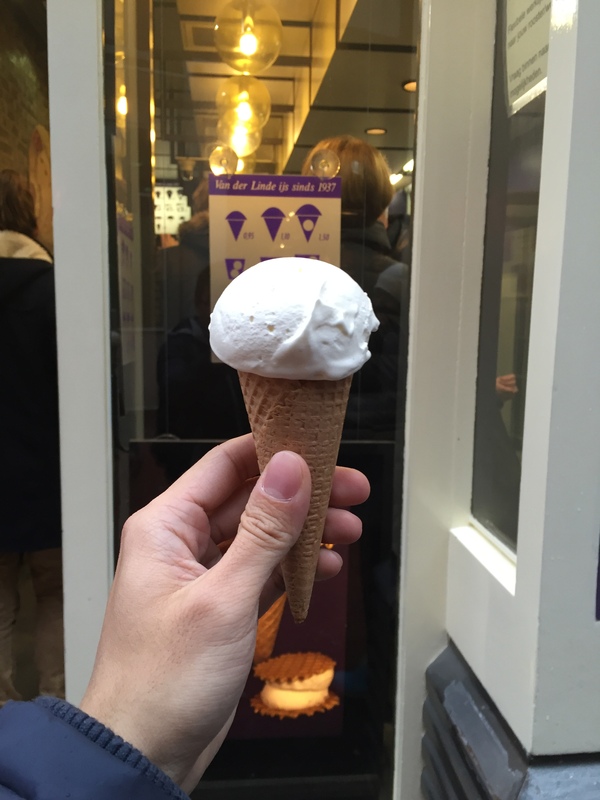 Another plus point is that it is cheap, for just €0.95 for a single scoop on a cone! 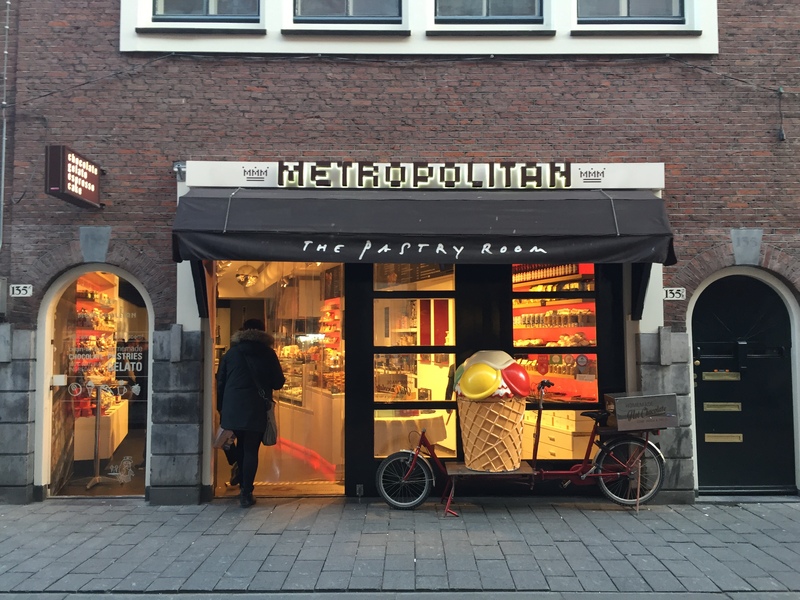 The shop is conveniently located along Nieuwendijk, opposite the large HEMA store. The are always queues in the shop, but it moves really fast. Is this a favourite for me? No. Is it worth a try? Yes I guess – based on the queue! =P Let me know how you find its taste! I was there at night. Glad that there is a shop that opens till 10pm to satisfy icecream cravings! 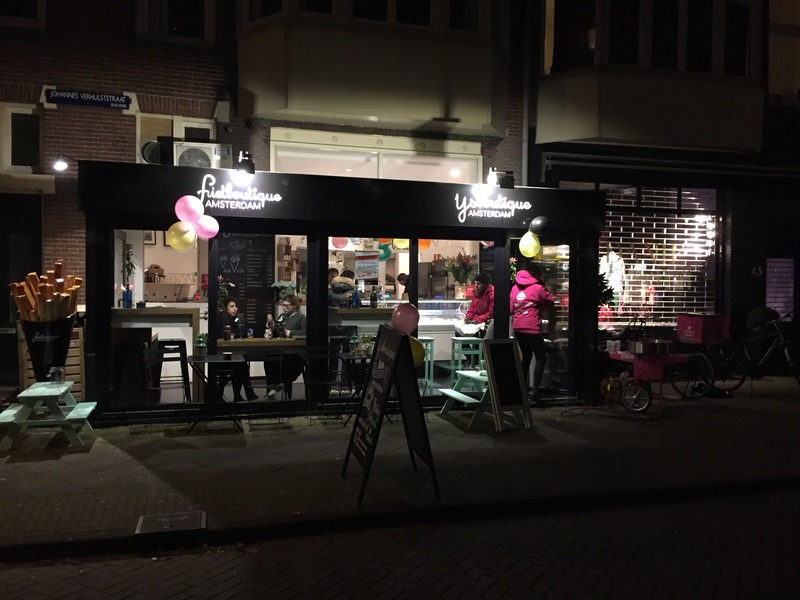 Ijsboutique is located in a quaint neighbourhood next to Vondelpark, far from the main city centre of Amsterdam. It was a random find as I searched on Google maps for an icecream place that is open at night. That’s what we usually do in Singapore – we go for icecream after having our dinner, and we can hangout till late (11pm) at the icecream shop. Here? Most cafes and shops that do not serve alcohol close by 6pm. Imagine how excited I am when I found this shop! I had three scoops of icecream, in a cup, for €4. I tried their coffee, salty caramel, and an un-pronounceable cookie flavour. My only complain is that they should serve larger scoops of icecream! I only tried this shop, after many times of walking past it, because my friend recommended their stroopwaffle flavour. Here in Amsterdam, you see many Ice Bakery around. It can be easily recognized by the display of Nutella bottles at their window. I can’t pronounce the name of the shop… Someone enlighten me? Good icecream 🙂 The waffle cone can be better! Got a scoop of chocolate chip icecream, which does not look nor taste like chocolate chip icecream in my mind. Usually there will be bits of chocolate chips in my vanilla icecream for a “chocolate chip icecream”. For this, there were swirls of chocolate ganache in a pale-yellowish icecream based. Still tastes good! It’s just €1.50 for a cone like this! The address given below is accurate, despite the different shop indicated here. Use google street, and you can see the storefront of Ijscuypje in construction. I always leave the best for the last. In my most recent find, I chanced upon Metropolitan while revisiting Amsterdam city centre on foot. 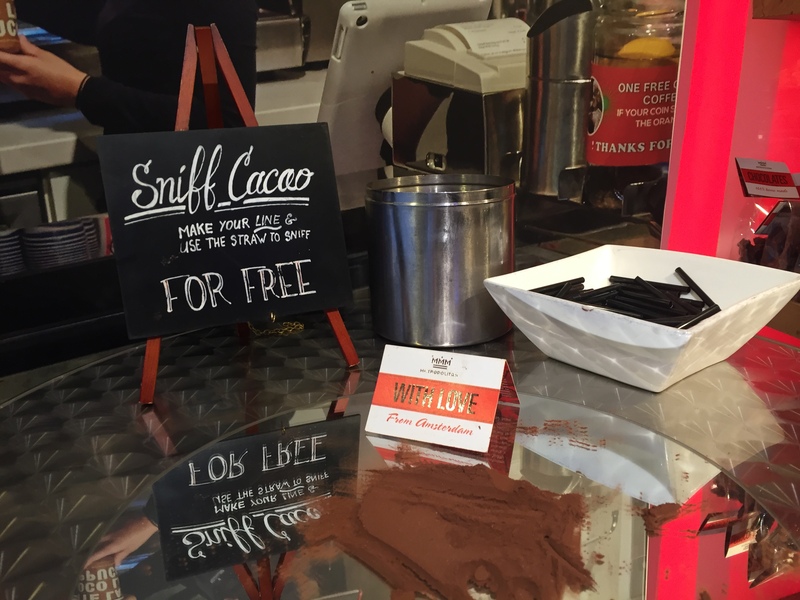 You are greeted by the smell of chocolate the moment you enter the shop, and you are lured to walk further in, and.. and to get something from here! Sniff cocoa like how you sniff cocaine. Nah, I wouldn’t want powder to get into my nose! I saw people eating icecreams on waffles. FINALLY! And I went straight up to the bar and asked for their most popular flavour. Salted caramel icecream on freshly made waffles, sprinkled with icing sugar. 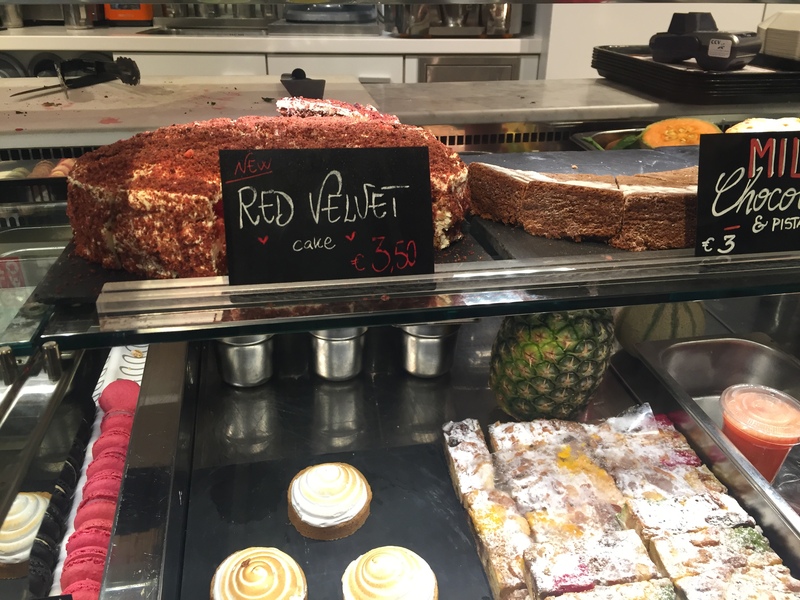 Before I left the icecream shop, I saw that they serve red velvet cake too! This gives me a reason to visit Metropolitan again. They have other products on sale, mostly chocolate related: chocolate soap, cacao beer, stroopwaffles (in ceramic containers), etc. Even if you are not a fan of icecream, this place is a must-visit because of the good vibes and chocolatey products on sale! Located near the Oude Kerk, this shop is hard to miss! 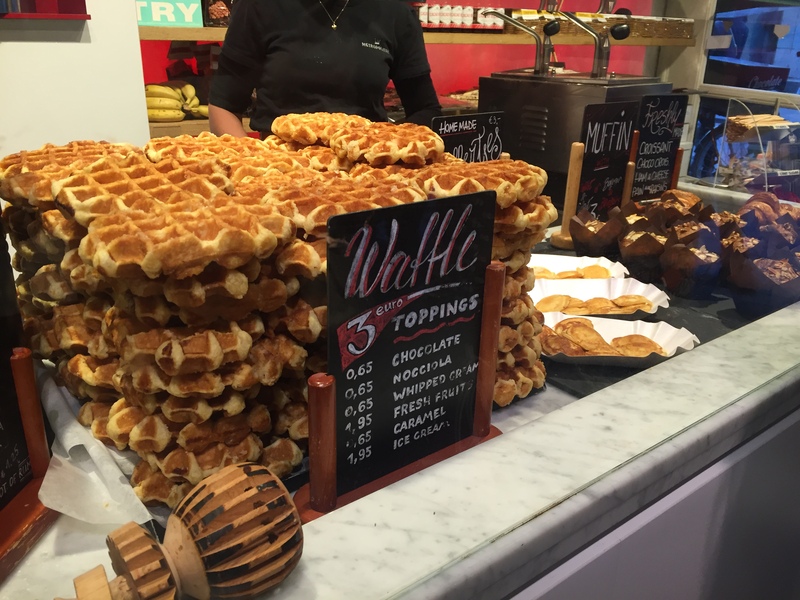 Albert Cuyp Market – Fresh Stroopwaffles and more!